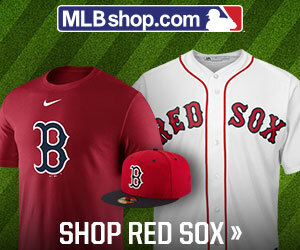 BOSTON – The Boston Red Sox aren’t letting the New York Yankees change their plans for 2019. The Red Sox still lack a proven closer and despite the Yankees grabbing former Colorado Rockies reliever Adam Ottavino off the free agent market on Thursday, Boston president of baseball operations Dave Dombrowski said he doesn’t plan to spend a lot of money on a closer. Speaking at a Boston baseball writers dinner, Dombrowski said: “I still don’t expect us to have a high expenditure on our closer situation.”Adding, “We have some flexibility, we don’t have a lot,” Dombrowski expressed concern regarding the payroll luxury tax as last year’s closer, Craig Kimbrel, explores the free agent market. The Red Sox have a projected payroll of close to $240 million, with the threshold at $246 million. “Well, I’d love to [avoid the penalty],” Dombrowski said. “I mean, we don’t have any mandate to do that, but again, it really hasn’t changed. There is a reason why they call it a penalty, and the higher you go, the penalty is quite significant. Ideally we’d like to stay there, but that was really our goal last year before the season started, and we did end up going over.”Among the current candidates at closer on the Red Sox roster are Ryan Brasier, Matt Barnes and Steven Wright, as Dombrowski noted that he could not say at the moment whether Boston will look elsewhere for a closer. With 96 strikeouts in 61 2/3 innings and a 6-4 record with a 3.65 ERA in 62 games last season, Barnes might be the most likely reliever to fill that role. Brasier finished 2-0 with a 1.64 ERA, with 29 strikeouts in 33 2/3 innings over 34 relief appearances (no saves). While signing Kimbrel is still a possibility, it’s not likely that Boston will bring him back.